If you are thinking of getting married abroad, then spare a thought for Greece which, since 1982, has recognised both civil and religious marriage ceremonies by Greek law. This is your big day – and an opportunity of a lifetime – so you want to choose a truly special and memorable location. And choosing somewhere with a climate such as Greece’s should all but guarantee that your special day is not ruined by rain! The romantic island of Santorini is a very popular choice. In fact, each year more than one thousand foreign couples chose this idyllic Aegean island as the destination for their wedding. With stunning scenery, unforgettable sunsets and almost 330 days of sunshine each year, it’s not hard to see why the island is so popular. 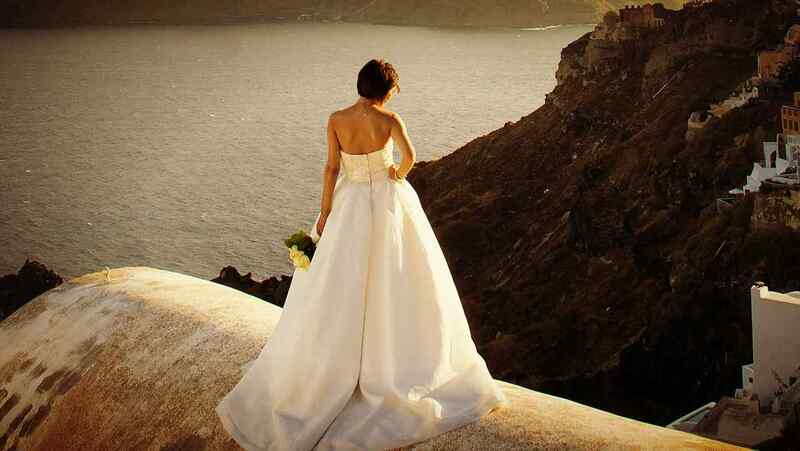 However, whilst Santorini is the preferred wedding destination for foreign couples choosing Greece – particularly with Chinese and Asian visitors – don’t rule out other possibilities. Athens is another location that’s worthy of careful consideration. In Greece’s capital city the wedding couple and their guests can get married in close proximity to some of Europe’s most awesome ancient remains. What could be better than a wedding ceremony or reception with a view of the Parthenon and the Acropolis? Athens is also home to some excellent luxury hotels and beautiful beaches so you can be sure that your travelling guests will be well catered for, too. f you need inspiration, have a look at the Wedding in Greece website. Not only does the site run through destination suggestions such as Santorini and Athens, but it also explores the merits of other locations such as Zante, Crete and Rhodes, provides information on the traditions of a Greek wedding ceremony, and offers practical advice on a variety of services from wedding planning to wedding photography.